We are proud of our precision quality work. This page provides a link to a three examples. Each example includes 3 pictures: the part, cavity, and core. 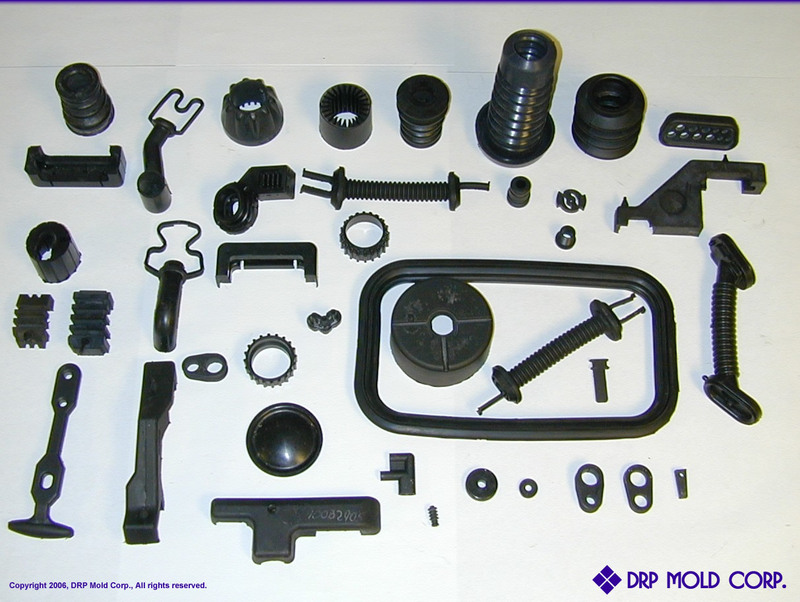 We make molds for everything from simple grommits to complicated airducts. We are always proud of this airduct mold made back in 1985. Although it is now typical of our work, at the time, it was the first rubber air intake for a major US care manufacturer. This was also unique with its split core design.